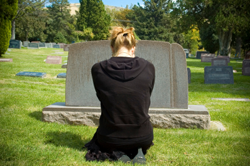 In 1983, Heidi was still a teenager and losing Scott prompted her to pursue a career in grief therapy. Simultaneously, it moved Gloria into a niche of her therapy field. “For years, I was struggling and didn’t know what my purpose was in the world,” says Heidi. Finally, she decided to attend school for grief therapy, and that’s where she found her calling. Gloria notes that, “When we lost Scott, our family was in disarray. To see our family come back together after all these years is an amazing story of hope.” The entire family is involved, with Gloria’s youngest daughter managing the Open to Hope website. “Moving my grief outward and into service” has been Heidi’s greatest help, especially as she serves as the Executive Director of the foundation. Phil, Gloria’s husband, is also a big part of the process. He serves as the treasurer and on the Foundation’s board. Many people ask how the family can work so closely together. “We’re very different,” says Heidi. She relies on honesty and the ability to disagree as the key success. Open to Hope started as a radio show, and it’s grown as a minimized group thanks to the message: “Be careful what you wish for,” as said by Heidi with a laugh.